In October 2016, I had the privilege of being second shooter with the talented Adaleah Lacey of Adaleah Lacey Photography for the wedding of Mike and Alyssa. Adaleah and I started with the men and Mike and Alyssa's home. Mike's father sadly passed away before the wedding so Mike had his father's initials stitched into his shirt sleeve - a beautiful and touching detail. When we finished with the men, we headed over the the Holiday Inn and Suites in Windsor to see Alyssa and her gorgeous bridesmaids. From there, we went to the venue - Pointe West Golf Course in Amherstburg, Ontario. 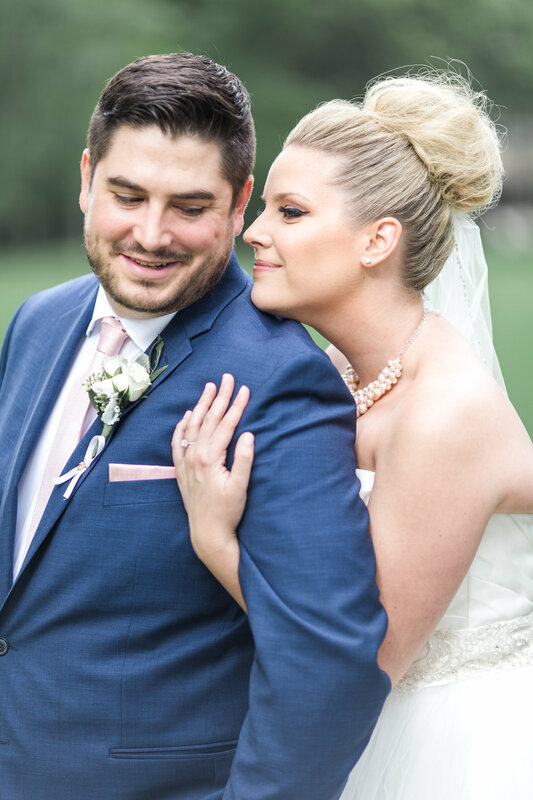 We started with a first look between Mike and Alyssa before transitioning into photos with their bridal party. Pointe West Golf Course was the perfect venue to flow from the ceremony right into the reception.